The danger of a single story is a speech given by a Nigerian Novelist named Chimamanda Adichie. It is about how everyone looks at stereo types, and that everyone has their own story. 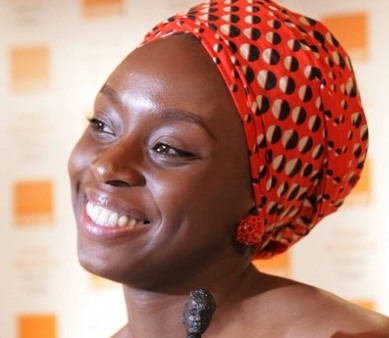 "The single story creates stereo types" Adichie said, “and the problem with stereotypes is not that they are untrue, but that they are incomplete. They make one story become the only story.” This sentence is so completly true. We all try not to think of stereo types, but we do all the time. Like the time Mr.Raisdana asked us to picture in our mind a farmer, a farmer in Cambodia. Then he asked us if any one of us pictures the farmer happy, or wealthy nobody had their hand up. This is how we see things, we assume them. And what she is trying to say is that, by assuming these things we dont nessesarily know the truth. "All I had heard about them was how poor they were, so it was impossible for me to see them anything but poor. Their poverty was my only story of them." When we hear a single thing about someone we automatically only think of that of that person, Like Chimamanda said that when she went to go visit them she assumed they wee poor and unhappy. The message Chimamanda is trying to get across is that, people will make judgments of you, they will assume how your story goes, they could be right, but it's incomplete. When I listened to thos speech in English class, it really opened my eyes. I've never seen anything from that point of veiw. It was very interesting. We had to write notes while watching the speech, I think I would have rather listened to the speech and discuss it, then write notes. I think that when writing notes you are mostly trying to get the words on paper and then you aren't getting it as much as you would, when just listening.